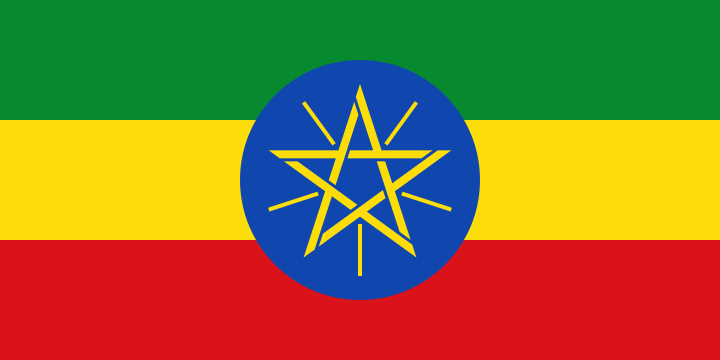 Ethiopia (officially known as the Federal Democratic Republic of Ethiopia), is a soverign state located in the Horn of Africa. It shares a border with Eritrea to the north and northeast, Djibouti and Somalia to the east, Sudan and South Sudan to the west, and Kenya to the south. With nearly 100 million inhabitants, Ethiopia is the most populous Landlock country in the world, as well as the second-most populous nation on the African continent after Nigeria. It occupies a total area of 1,100,000 square kilometres (420,000 sq mi), and its capital and largest city is Addis Ababa.